It’s a Keanu kind of day. First we have confirmation that Bill & Ted 3 is actually happening for real this time, and now we have a new trailer for John Wick Chapter 3 (I still refuse to acknowledge the stupid subtitle). This trailer builds on the first, still showing off primarily action, but with a little more talky-talky thrown in. For instance, this time Keanu and Mark Dacascos exchange words and it is NOT DISAPPOINTING. I am SUPER here for John Wick and his new mortal enemy-maybe friend having sit downs in the middle of wild knife fights. This is the thing about the John Wick franchise—they’re action movies set in an outlandish alternate reality where everyone is a flawless communicator with a massive vocabulary (and then there is John Wick, who generally speaks in single sentences suited to Keanu’s delivery). The dialogue is equal parts insane and delightful, always. Also, this trailer features DOG JUSTICE. We got here because Theon Greyjoy killed John Wick’s puppy. FIVE YEARS LATER we’re all still traumatized by that little dog (RIP Daisy). We have an ENTIRE MOVIE FRANCHISE dedicated to working out our angst over that poor puppy. So when John Wick says, “It wasn’t just a puppy,” he is speaking truth to our collective pain. But in this movie, there is finally justice for poor Daisy, as Halle Berry’s German shepherds are in action, biting people’s balls off. This is justice—DOG REVENGE. That should be the subtitle of the movie: John Wick Chapter 3: DOG REVENGE. There is not, however, any Jason Mantzoukas in this trailer. We get to see more of Asia Kate Dillon as “The Adjudicator”, but still no “Tick Tock Man”. He does have a poster, though, and you will never convince me that the Tick Tock Man is not just another undercover alias of Adrian Pimento. Also, is he wearing a cloak made out of a garbage bag? 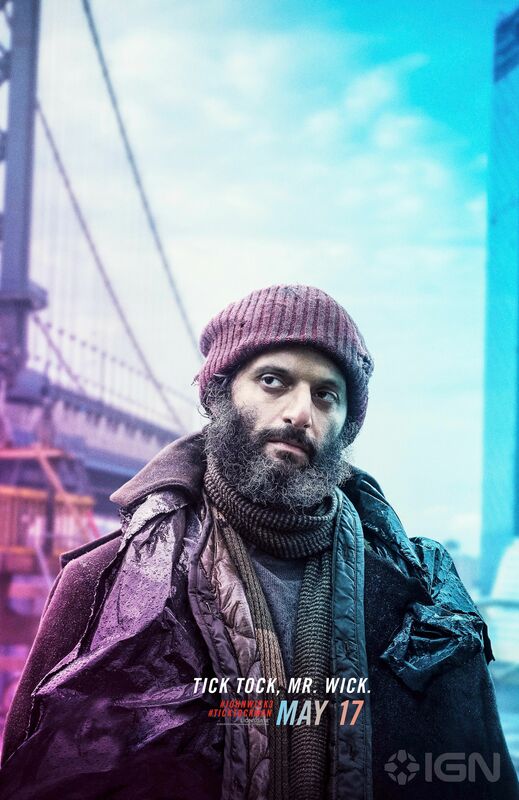 I’m not sure anything fits Jason Mantzoukas’ persona better than a cloak made out of a garbage bag. The JW3 team is really clued into the peculiar tastes of the online John Wick fandom, who love dog revenge and Jason Mantzoukas. The next trailer for John Wick Chapter 3: DOG REVENGE should be devoted to the Tick Tock Man. Give the internet what it wants!